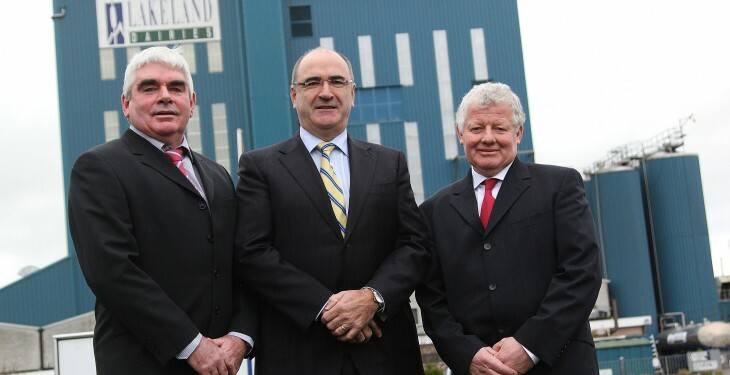 Vice-Chairman, Gerry Melia, Group CEO Michael Hanley and Alo Duffy. 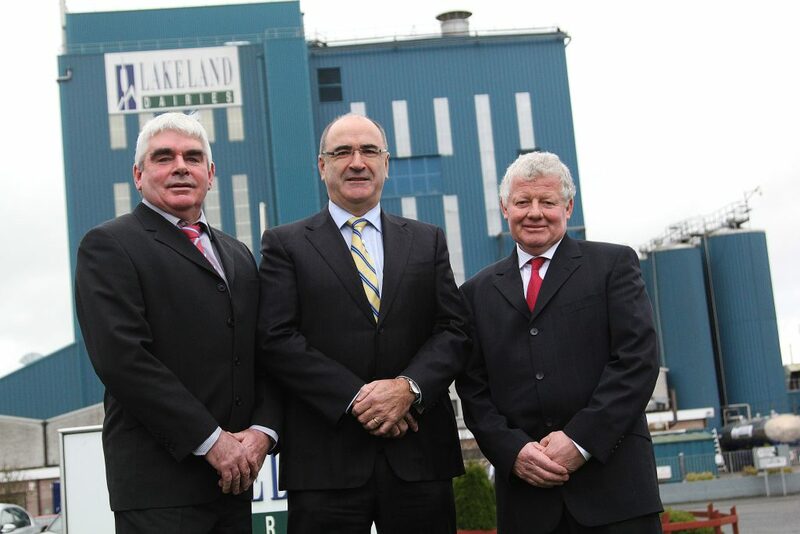 Lakeland Dairies has appointed a new Chairman – Alo Duffy of Corbrack, Ballybay, Co. Monaghan. Alo was first elected to the Board of Lakeland Dairies in 2010. He succeeds Pádraig Young who has retired from the Board having served with distinction as a Board member since 2006 and Chairman since 2008. Following from Mr Young’s retirement, Anthony Leddy of Milltown, Belturbet, Co. Cavan, has been elected to the Board representing the Co-operative’s Cavan North Constituency. Lakeland Dairies is one of Ireland’s leading dairy processing co-operatives. Lakeland operates across fifteen counties on a cross border basis, processing over 800 million litres of milk annually into a range of value-added dairy foodservice products and food ingredients which it exports worldwide. Lakeland Dairies, Ireland’s second largest dairy processing co-operative, operates within a fifteen county catchment area in the northern half of the island of Ireland. The Group processes about one billion litres of quality milk annually into a range of value added dairy foodservice products and functional food ingredients. The modern day Lakeland Group was formed in 1990 through the merger of the then Killeshandra and Lough Egish Co-operatives, established in 1896 and 1902 respectively. Since then, through a process of organic and acquisitive growth, the co-operative has created one of Ireland’s main dairy processors.